Who thought up paper money? How did the contraceptive pill change the face of the legal profession? Why was the horse collar as important for human progress as the steam engine? How did the humble spreadsheet turn the world of finance upside-down? The world economy defies comprehension. A continuously-changing system of immense complexity, it offers over ten billion distinct products and services, doubles in size every fifteen years, and links almost every one of the planet's seven billion people. It delivers astonishing luxury to hundreds of millions. It also leaves hundreds of millions behind, puts tremendous strains on the ecosystem, and has an alarming habit of stalling. Nobody is in charge of it. Indeed, no individual understands more than a fraction of what's going on. How can we make sense of this bewildering system on which our lives depend? 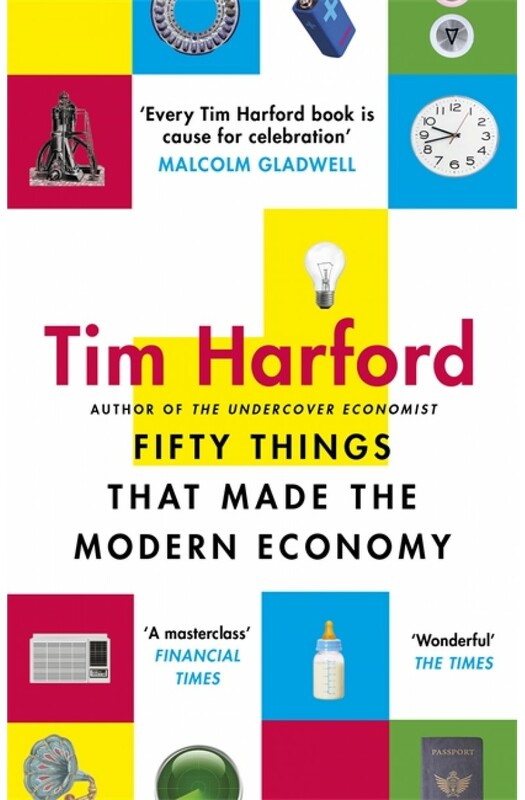 From the tally-stick to Bitcoin, the canal lock to the jumbo jet, each invention in Tim Harford's fascinating new book has its own curious, surprising and memorable story, a vignette against a grand backdrop. Step by step, readers will start to understand where we are, how we got here, and where we might be going next. Hidden connections will be laid bare: how the barcode undermined family corner shops; why the gramophone widened inequality; how barbed wire shaped America. We'll meet the characters who developed some of these inventions, profited from them, or were ruined by them. We'll trace the economic principles that help to explain their transformative effects. And we'll ask what lessons we can learn to make wise use of future inventions, in a world where the pace of innovation will only accelerate.